There's many wise sayings in today's Proverb. I'm especially drawn to the verses relating to work, ethics, and riches. Our media glorifies great riches, gained for any reason or purpose. I can't get over the amount of tv shows related to "wealthy" people and their lives. It seems you can find something regarding "rich and famous" folks at any time of day. No thank you!! I've lived seasons of wealth and in poverty. We've received benevolence from our church (thank You Lord!) when we hit really tough times early in our marriage. The generosity of others helped carry us through those thin seasons, when we could not get the budget to work out on paper, yet every month the bills were paid (maybe late, but paid!). I have compassion for the poor because of the goodness God showed us through our brothers and sisters in Christ, displayed through our church. Then there were seasons of abundance. Years that we squandered wealth (yes, even after living so frugal) and years that we gave generously to others. It's amazing how maturing in Christ can affect your priorities in financial giving, whether it's through a tithe to your church or an offering to missions or non-profit organization. I wish we had paid attention to the Proverbs more. 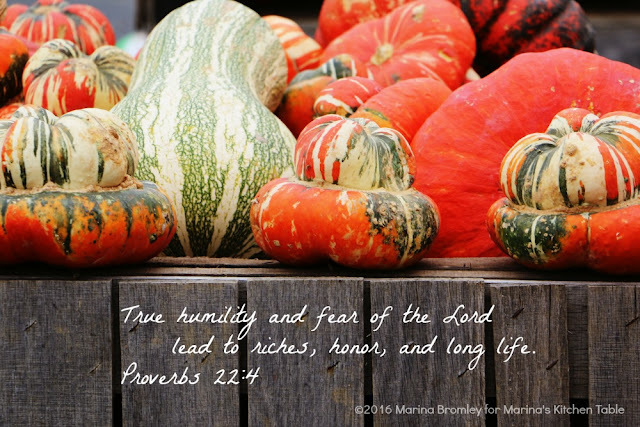 There's such wisdom and insight to working, living, and giving within these verses.